This entry was posted in Eaton & Cringleford, Home Page and tagged Eaton Park Miniature Railway, NDSME, Norwich and District Society of Model Engineers on November 7, 2018 by Gay Webster. 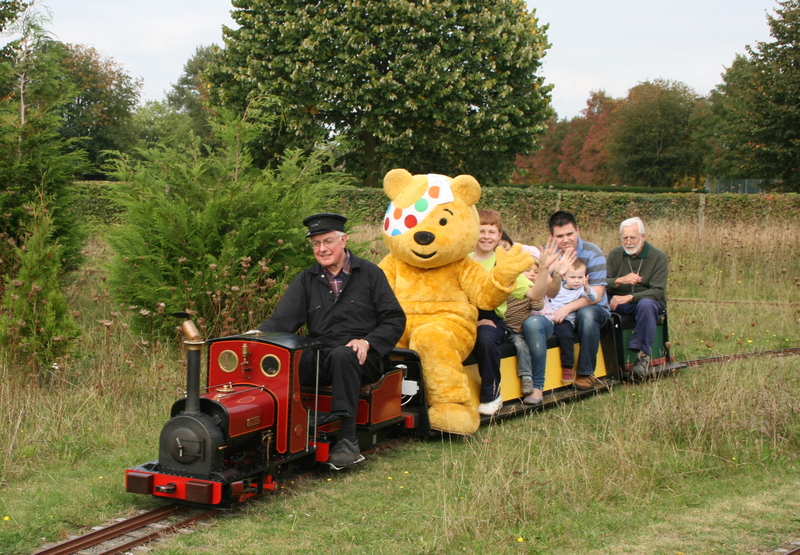 Pudsey Bear will return to Eaton Park Miniature Railway Mainline this Sunday, October 8, to entertain families and raise funds for Children in Need. This will be Pudsey’s sixth annual visit to the railway, owned and operated by Norwich and District Society of Model Engineers, where he will ride on trains and make small children smile! There will be all sorts of hand-made steam, electric and internal combustion engines in operation, pulling passenger trains around 800m of track. October 8 will be the final formal operations day for the railway until Christmas so it’s a great opportunity for families to come and have some fun, all for a good cause. Last year the society was able to donate over £500 to the appeal. 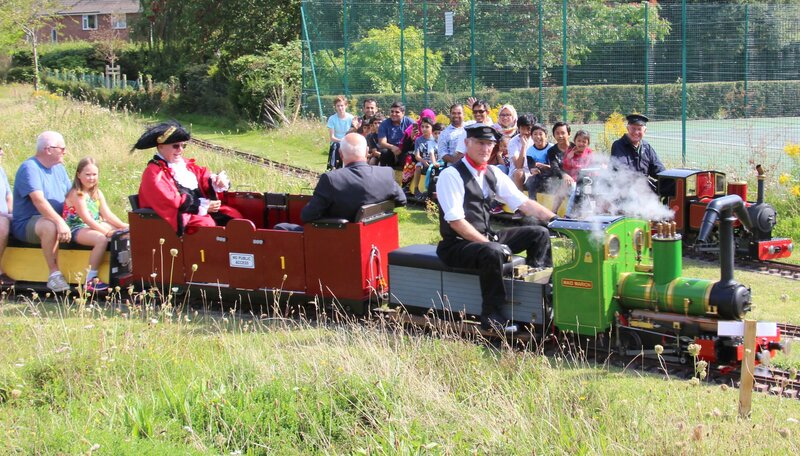 Trains will operate every few minutes from 1pm-5pm, , weather permitting. Pudsey will be there until around 4pm. Bring a picnic and watch the trains go by. In the event of bad weather, other arrangements will be made. 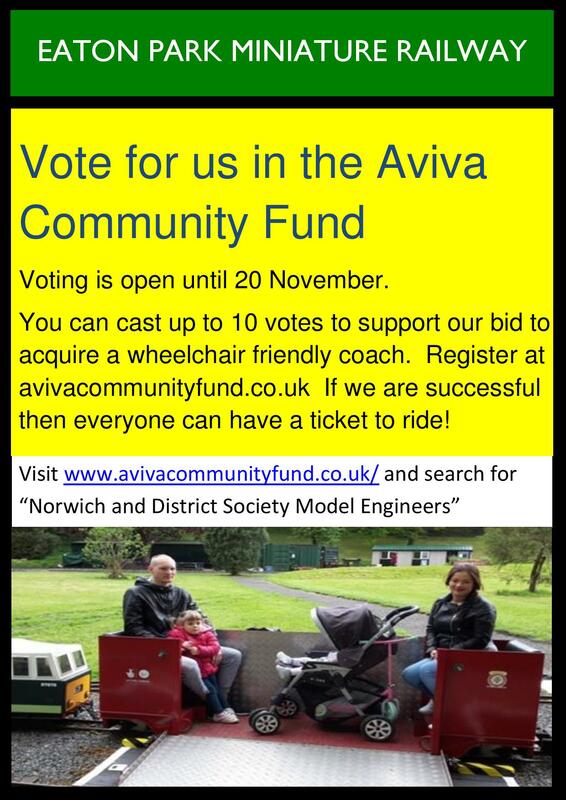 This entry was posted in Eaton & Cringleford, Home Page and tagged children in need, Eaton Park Miniature Railway, Pudsey Bear on October 2, 2017 by Gay Webster.